We all love the unexplainable and in the spiritual and paranormal world, there is definitely a lot of it. Some take the attitude that there “has to be a logical explanation,” while others just shrug their shoulders and basically chalk it up to one of those unexplainable happenings that has no normal boundaries, so don’t bother trying to figure it out. During the early 1900s, a large group of people waited, staring into the sky, for a vision to appear. 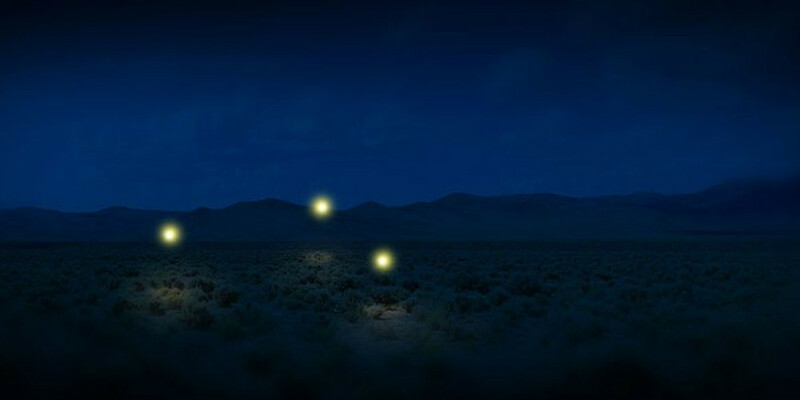 Three children had been playing in the fields and claimed to see an apparition of the Virgin Mary. She came to them again and again, making predictions, including the end of the World War I. On the day of what she said would be her last appearance, thousands came. She once again appeared only to the children but before revealing her miracle to the group, the Sun began to dance. Lights shone out of it, burning in the sky. It flew towards Earth and in circles. Some say they saw absolutely nothing, but others said the Sun was a burning mystery in the sky. One day, out of the woods, two children walked into an English town in the 1200’s. Children mysteriously appearing wasn’t so odd back then with parents having a much higher rate of death because of diseases. But these two children were unique. They spoke a single language that none of the English had heard before. They only ate raw beans. They wore strange clothes and the best was that both of them had green skin color. The little boy passed away but the girl learned English and told of a place underground, where “everything was green and it was always twilight.” Now, if you’ve never heard stories of fairies before, that’s about as good a description of them as any. Prisoners don’t always have the best life, especially not those locked in solitary confinement. Apparently after long periods of solitude, the visions of a light show begin to happen with their eyes open or closed. It can also be experienced by people who go into deep meditation on a regular basis. The down side of this fantastic light show is that it is continuous and does not seem to go away. The Hebrides blob is a carcass that washed ashore in Scotland in 1990. No one knows what it is and no one knows where the creature could have come from. More interestingly, it happened so recently that there’s a color photograph of it, making it a bit more believable that your average Bigfoot. Thankfully, it’s the only specimen of its kind that has ever washed up, so the rest are at the very bottom of the ocean. In South Asia, in late October, every year on the Mekong river, small fireballs rise from the river and shoot out into the sky, burning red until they fade away. The number varies from in the tens to the thousands but it happens consistently, to the point that the Naga Fireballs are revered. So, what’s the explanation? Some people think swamp gas, but that doesn’t quite explain the regularity. The locals believe it’s a dragon at the bottom of the river. There’s a place in Texas at night, you can see dancing lights in the desert. These lights have been around long before man ever had a mind to create highways for them to be car lights. The lights seem living and move back and forth playfully. They’re lights in the darkness, unexplained and unknown. These stones move across the desert on their own, leaving a trail behind them. Many scientists have come up with explanations anywhere from ice forming under the rocks to desert winds propelling but nothing has come up as a concrete explanation why these rocks just roll merrily along the desert on their own. (READ: What Can We Learn From Past Lives? It is a sane acceptance that existing in this dimensional plane, there is some really weird paranormal stuff that just cannot be explained. Whether it is about green children or rolling stones on the desert and countless other stories of unexplainable events, we just have to have the open-minded attitude that we are never going to fully understand this magical place we are experiencing. We might just have to wait for the next trip to whatever dimension in order to say: “Oh! That’s why they did that!” lol!